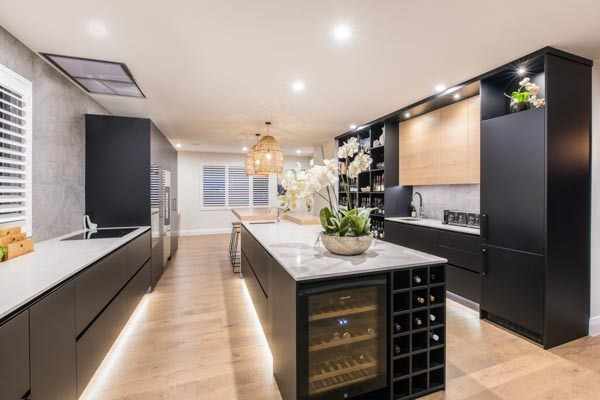 If you’re building a new home or renovating your existing property and a new kitchen is on the menu, then Nicky Claridge of NC Design is your perfect design partner. With more than 20 years’ experience in the kitchen and bathroom industry, Nicky knows this game inside and out and goes the extra mile for all her clients to ensure their project runs smoothly with incredible results. Being the hub of most Kiwi homes, getting your kitchen right is absolutely crucial. Dealing directly with an independent kitchen designer like Nicky as opposed to a kitchen salesperson, is often the difference between a successful project that brings happiness and value to your home, and one that doesn’t. From the initial consultation, through her clear and concise design process, you will see your new space come to life through the photo realistic 3D renders she creates for you. Being able to see exactly what your new kitchen will look like right down to the smallest detail, allows you to relax knowing that there will be no nasty surprises come hand-over day. Nicky’s studio is located on the corner of Wigram and Annex Roads and features three full-sized kitchens and a clever laundry display, open to view seven days a week. At NC Design it’s quite simply, all about you. To make an appointment for your free initial consultation with Nicky, phone 021 240 9225 or visit www.ncdesign.co.nz for more information.